Is this the next Clio/Alto Moncayo? 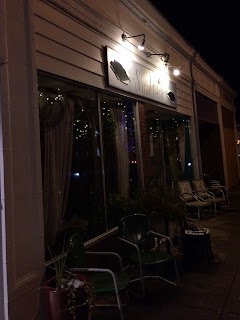 The other night we went to Sweet Basil for dinner (review) and since the restaurant is BYOB friendly it provides an opportunity to choose a wine for the evening. We were joining some of our best friends who are also wine enthusiasts and since we go in on a lot of the same deals there's significant overlap in our collections. As a result, choosing a wine becomes a bit of a mind game. I'm more new world biased than my friend, but rather than go from my comfort zone of California Pinot Noir, I often end up choosing something old world and vice versa. 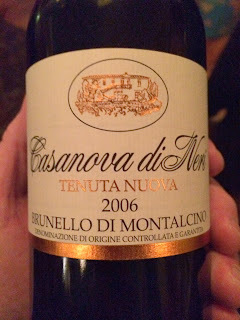 Sure enough he brought a Reynvaan Syrah (which was fantastic) and, after toying with the idea of going with a Spanish wine (a 2010 Finca Dofi), I ended up going with an Italian wine: a 2006 Casanova di Neri Tenuta Nuova Brunello. Casanova di Neri is a Montalcino producer founded in 1971 by Giovanni Neri then passed on to his son Giacomo in 1991. Their flagship wines are their Brunello di Montalcino (~$51) and Brunello di Montalcino Tenuta Nuova (~$80). Like all Brunello, they are 100% Sangiovese grown near the town of Montalcino. The Tenuta Nuova bottling was first produced from grapes harvested in 1993. Since then it's gone on to international acclaim. In 2006, Wine Spectator named the 2001 Tenuta Nuova (97WS/$70) their Wine of the Year. James Suckling (former Wine Spectator editor covering the wines of Italy) recently rated the 2006 100 points saying, "What a bottle. Will it ultimately be better than 2001 Tenuta Nuova? Yes." I bought this 2006 immediately after tasting the 2005 Tenuta Nuova at the Wine Spectator Grand Tour in Boston a couple years ago. The 100 point Suckling rating didn't hurt either. Delicious liquified red licorice with other typical Brunello aromas and flavors. A tremendous amount of focused fruit for this category, but it's balanced very well by acid and supporting silky tannins. There is nothing harsh about this wine so although secondary characteristics should emerge with time, if you like drinking wines on the young side I see no problem popping a bottle of this now. This wine is still available at reasonable prices at some retail shops. In fact, Buster's Liquors in Memphis has 8 bottles available for $65.69 as part of a mixed case purchase. If you find yourself some in Memphis stop in and buy some (and drop me an email because I'd love if you could bring some to me in Massachusetts!). Sadly, Buster's doesn't ship anywhere. Only drink 100 point wines? Here's another recent one from Spain. Question of the Day: Have you have Casanova di Neri Tenuta Nuova before? If so, what did you think? If not, what are some of your favorite Brunellos? It's not much to look at from the street, and probably why I drove by Sweet Basil many times without thinking of going in. But a couple of months ago we joined friends there for dinner. And since then I've become obsessed with the place. Sweet Basil - an Italian Bistro in Needham, Massachusetts - is the perfect neighborhood BYOB bistro. Stop whatever you're doing right now and make plans to eat there soon. You won't regret it. In perusing their menu it's a little hard to classify this simply as "Italian" (as if there is such a thing given the diversity of the cuisine in Italy). Compared to Comella's (another Boston-area takeout restaurant with multiple locations) the menu at Sweet Basil is more diverse and more adventurous. Whereas Comella's sticks to staples like Parmigiana, Scampi, and Alfredo, Sweet Basil has a couple of standard favorites on the menu (like Chicken Parm and Shrimp Scampi) but takes it mostly in other directions with dishes like Bolognese with beef, sausage and mushrooms over pappardelle ($21.50), Lamb shank slow cooked with polenta and roasted vegetables ($26), and Seafood fra diavolo with shrimp, mussels, clams, calamari, and cod in a spicy tomato brodo over linguini ($22), and Braised chicken with port wine, balsamic glazed peppers, tomatoes and mushrooms tossed with strozzapreti ($20). When you visit, you'll likely see chef owner David Becker overseeing execution from the front of the restaurant he took over in 2000 from chef Paul Booras. I stopped in to pick up takeout the other night and purchased one of his cookbooks (Thrown out of an Italian Kitchen: Recipes from Sweet Basil ) and asked him what they do to extract such pure depth of flavor in their dishes. He said it was all about balancing salt, acid, fat and sweetness. And "not being afraid to burn stuff." In perusing the recipes in his cookbook it's clear simplicity is a focus, but it's unclear whether following the recipes will achieve similar results to what they deliver. I asked him about this last night when we were dining in and he said that not everybody's kitchen is the same. Even a frozen pizza cooks differently in different ovens. He said he's not keeping any secrets and it's all there in the book. He even encourages guests to try recipes at home and bring a taste in for suggestions for improvement. If you live in the Boston area, do yourself a favor and get over to Sweet Basil as soon as possible. With it's BYOB-friendly policy, utterly delicious food, and warm neighborhood atmosphere it has quickly become one of my favorite restaurants in the country. There have been rumors Sweet Basil would open a second location in Wellesley. While it's not a long drive to Needham, I would love to see more dining options in town. What's up with Needham having more good restaurants than Wellesley? Question of the Day: Have you ever been to Sweet Basil? If so, what are some of your favorite dishes? Remember that article I wrote a month ago about Good $30 Domestic Pinot Noirs for gifting? I checked in with my friend who posed the question and he said he was having a hard time finding the wines. That he called around to a couple nearby wine shops and they didn't have any of them. This is a very common scenario. It can be time consuming and frustrating to track down recommendations for specific wines. It's not like trying to find a commodity item on Amazon - buying wine online is still more complicated than it should be. Wine-Searcher can help find retailers who carry specific wines, but it's not always clear whether you're dealing with a reputable retailer and whether they'll quickly fulfill your order. I want to make it as easy as possible to try my wine recommendations at really good prices from reputable retailers. So when Liquid Discount gave me an opportunity to choose a couple of wines and write a guest column on their site I jumped at the opportunity. If you're on the Liquid Discount mailing list you got this already but if not here's a link to the offer. The two wines I chose were the 2012 Zepaltas Russian River Valley Pinot Noir and the 2010 Alta Maria Pinot Noir. I've continued to enjoy Ryan Zepaltas' wines since naming his 2006 Zepaltas Sonoma Coast Pinot Noir my Wine of the Year in 2009. He graciously responded to my request for an interview and I enjoyed meeting him in person for a tasting a couple years ago. His 2012 released early and based on his track record and description I'm looking forward to tasting the 2012. The Alta Maria is a wine I've tried before and one I'd recommend having a stash of on hand. It's so balanced and solid - it looks and drinks more like a $40 wine. Pinot Report rated it 93 points. I said 90. It's really quite an achievement for around $20. If you're looking to round out a 12 bottle case (for the favorable $15 east coast shipping rate) have a look at these 11 recommendations. If you can land around $200 this can be a really nice deal. Head on over to Liquid Discount to read the offer and shop online. I was even able to work in a comparison between the 1983 NFL Draft and the crop of talented California Pinot Noir producers who surfaced in 2007. Question of the Day: What other wines do you see at Liquid Discount that would be useful in rounding out a case? I'll be the first to tell you I'm inexperienced when it comes to sparkling wines. I've got very little in the way of reference points in this category and since mistakes can be especially costly with Champagne I've been hesitant to stretch my budget for more expensive bottlings. When I first started exploring categories a few years ago I'd go about it differently than I do today. In the past I'd seek out 90+ rated wines costing as little as possible to gauge whether I liked a certain category. In hindsight that might not be the best way to go about categorical wine exploration. For example, take 2005 Bordeaux. There are gads of wines rated 90+ points costing $30 or less - heck - even $20 or less. And they're fine, but they don't rise to anywhere near the levels of wines costing around $50-$100. The flavor profile might be similar but you really get a richer experienced with a nice, well aged Bordeaux than you do with most affordable entry level wines - even the ones which are rated well. So rather than nibble at the bottom of the 90 point wines, I thought to instead go for the gusto and proceed immediately to one of the marquee wines in the category. After hearing so many independent glowing references for Billecart-Salmon Brut Rosé the past few months I had to try it. But rather than taste it in isolation I thought it would be interesting to compare it side by side with an affordable domestic sparkling brut rosé. I went with Piper Sonoma Rosé since I had it as a Thanksgiving warm-up and thought it served its role nicely. And to avoid pre-conceived notions from creeping in I served the two wines blind to our guests Christmas Eve. I told them we were tasting a (roughly) $80 Champagne and an $8 sparkler from California. Their challenge was to identify which wine they thought was more expensive and also which they preferred. Since I was pouring the wines I knew which was which, so my opinions may have been clouded by the knowledge of which was which. But the preferences of our guests were clear: 3 out of 4 preferred the Billecart-Salmon Brut Rosé and 3 out of 3 who were willing to wager a guess as to which was which correctly identified it as the one from Champagne. We tasted the Piper Sonoma first. The color was more copper/orange than pink or salmon. The bubbles were larger and it was more bubbly in general than the Billecart-Salmon. The nose on the Piper Sonoma was fruity and the wine was more flavorful. But it was also rowdier and less refined than the Champagne. The Billecart-Salmon was subtle, but very classy. It had an inviting nose and a gorgeous salmon color not too dissimilar from its attractive label. It had fine bubbles, a silky mouthfeel an overall elegance that made it stand out from the domestic wine it was being compared to. There was very little doubt in our guests' minds which wine was better and which was from Champagne. Some said you could "taste the forthcoming headache" in the Piper Sonoma. 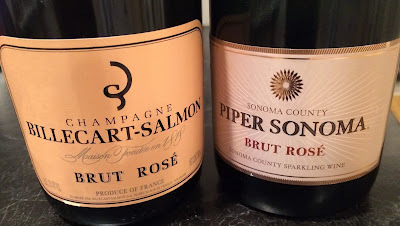 The Billecart-Salmon costs almost 10x as much as the Piper Sonoma. Was it 10x better? Probably not. More like 2 or 3 times better. But isn't that the case with most wines? I'll probably splurge for the Billecart-Salmon at some point again in the future. But more than anything tasting it gave me a feel for what you get when you spend a little more in this category. I like what I saw in the wine and I'll look forward to continuing to explore the category. I think it would make for a fine selection for New Year's Eve. Question of the Day: Have you tried the Billecart-Salmon Brut Rosé? If so, what did you think? What are some of your favorite sparkling wines? The 2011 Bodegas Volver Triga I mentioned earlier this week arrived yesterday. I wasted no time popping one open - in fact the first taste was still cool from it's journey from Table & Vine via FedEx (around 48F). Normally when you taste a wine when it's this cool, the aromatics and flavors are muted. But this wine is so generously aromatic and flavorful it comes through even when the wine is chilly. The past year, I've very much enjoyed exploring Spanish wines. Historically, it has been a tough category for me to get excited about because I didn't have familiarity with the key producers, regions, brands and style of wines. But after discovering how much I like Juan Gil after tasting it at The Capital Grille I was interested in exploring more. Then at the Wine Spectator Grand Tour event in Chicago I tasted Alto Moncayo and was really impressed with it. Then a trip to Spain popped up out of nowhere and I got a chance to experience El Nido Clio in the tasting room just steps away from where it's produced. It was quite a year. Sometimes all you need is a little inspiration and a whole new category of wines catch your attention that you've previously ignored. For example - I can definitely trace my ongoing fascination with wines from California to visits out there over the past 15 years. Visiting a wine region helps so much in building enthusiasm for future exploration and purchases. I've bought a bunch of other Spanish wines this year and most of them have been related in some way to the wines I've discovered and enjoyed. It just makes sense, right? If you like one grape, one winery, or region or one winemaker - why not try more like them? In trying these wines I've had some hits and some misses but nothing has risen to the El Nido Clio/Alto Moncayo level of excitement and affordability. Although the wines I'm referring to come from the old world they're definitely new world in style. If you like Caymus Special Selection I'd urge you try try Clio and Triga. For my palate (and money) they're so similar. Absolutely gorgeous. I hear Jorge Ordonez consciously looks for wines to show well immediately upon opening and this wine does that very well. Inviting aromas of rich vibrant dark fruit and milk chocolate jump from the glass and convey elegantly on the palate. The mouthfeel is rich yet silky at the same time. Long finish. So impressive. 14.5% alcohol. 85% Monastrell/15% Cabernet. If the intention is to give Clio a run for its money this wine does that very well. Whereas Clio is 70% Monastrell/30% Cabernet Sauvignon in a collaboration with Gil Family Estates, Triga is 85% Monastrell/15% Cabernet Sauvignon with Bodegas Volver. Gil Family Estates is in Jumilla, Bodegas Volver is in Alicante - less than an hour away and also known for Monastrell. So to follow the path to Triga is to follow Jorge Ordonez. He reminds me of a successful coach who has proven he can win with multiple teams. Kind of like - who - Phil Jackson maybe? Phil Jackson is no dummy. Sure he had Jordan and Pippen, and Kobe and Shaq. But he had both the savvy to take jobs where he'd be in a position to be successful, and the skill to elevate the talent he was responsible for. I split up the case with friends (come and get it, guys!) and I'm looking forward to hearing their thoughts. I'm afraid just a bottle or two of Triga isn't going to cut it. Time to reload. A couple weeks ago I received an email from a retailer I've admired for some time inquiring about opportunities to collaborate. They noted an appreciation for the thinking behind the wwpQPR Calculator and after going back and forth with them since I've discovered a genuine alignment in methods for discovering wine values. When I started this blog five years ago, I thought I'd have all kinds of retailers - mostly local - who would love if I wrote about their deals. Turns out - a lot of retailers dislike their wine deals being broadcast widely for fear of retribution from other retailers who complain to distributors that they're not getting favorable pricing. And other retailers copying their deals. As a result I've never broadcast a deal I've heard of via email unless the retailer encourages sharing the deal. So it was rewarding to hear from a retailer who was genuinely enthusiastic about the kind of value sleuthing I've written about here. The kind of sleuthing a lot of you do too. Things like triangulating scores between multiple publications then finding them at great prices from reputable retailers (provenance is important). Analyzing ratings to discover values at all prices points (not just south of some arbitrary value like "less than $20"). And bringing it all to bear on compelling, delicious wines in categories we're interested in exploring. The goal I'm after is discovering and enjoying reliably high quality wines which are strongly representative of their category and able to please a crowd at a price point they can more than support. And the retailer shares this vision. The retailer is New York based Liquid Discount. They were nice enough to share a coupon code worth $20 off $200 orders: "WWP"
Their shipping rates are very favorable - especially east of the Mississippi. I'm grateful for their sponsorship of the site and I'm looking forward to a fruitful collaboration with them. Question of the Day: Have you ordered from Liquid Discount? If so, how did it go? If not, what are some wines they have in stock that catch your eye? Massachusetts wine retailer Table & Vine delivered an informative offer today for Triga - a new collaboration between Jorge Ordonez, Chris Ringland, and Bodegas Volver. You'll recognize Ordonez as the force behind El Nido Clio and Alto Moncayo which sell for similar price points as Triga (typical street price is around $40 but you can find it for a bit less). Ordonez is no longer involved with El Nido and like his Wrongo Dongo bottling the fruit source has shifted from Gil Family Estates in Jumilla to Bodegas Volver in Alicante. Australian Chris Ringland is still winemaker at El Nido and Alto Moncayo, and now Triga. I'd expect this offering to continue Ringland's new world take on old world (and old vine) Spanish wine. Triga is more like Clio than Alto Moncayo in its grape composition. 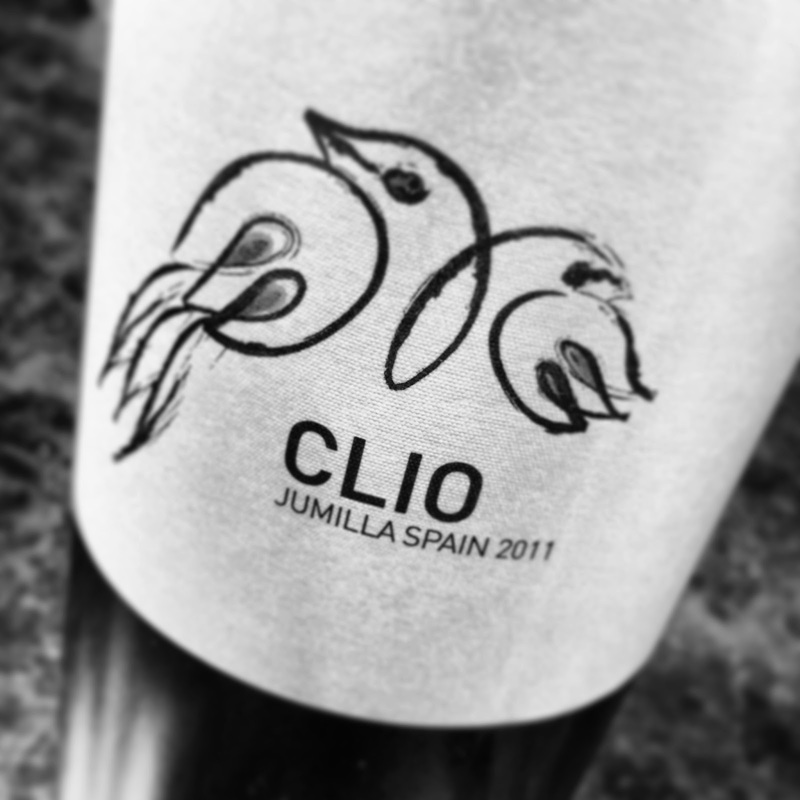 Whereas Clio is 70% Monastrell/30% Cabernet Sauvignon, Triga is 85% Monastrell/15% Cabernet. Alto Moncayo is 100% Garnacha. The similarities between Triga and Clio are apparent and I'm looking very forward to trying Triga. Question of the Day: Have you tried Triga yet? What did you think? We're headed to Disney World in Florida soon for a four night stay. We're flying in, but my mother in law lives in Naples so she'll be driving in to meet us. She asked if I could make a shopping list of wines chosen from Total Wine so I thought to share my picks for your consideration and commentary. But I wanted to frame the discussion a bit so you can see where my head is with these picks. These wines are likely going to be consumed in a hotel room out of chunky wine glasses procured from room service - if we're lucky. Worst case we'll be drinking out of in-room water glasses we'll be hopeful were washed with something other than Windex. That being the case, I'm looking for luscious and bold wines. Obvious wines. Crowd pleasers. I set a target budget for myself of $12.99 a bottle. I realized as I was sorting through their selection how much action there is at the $9.99 to $12.99 price point. You can get some terrible wines in the price range. But I think you can also get some surprisingly good ones. If you buy 12 bottles of $12.99 wine that's a total price of $155.88. So that's my budget. I remember reading a magazine article years ago where they tasked two fashion experts with putting together a man's wardrobe for $1,000. One designer bought a bunch of low to medium quality clothes (much of it from Target) to create a well rounded versatile wardrobe. The other bought one splurge item -- a pricey Calvin Klein sportcoat -- and skimped on the rest of the other items. The thought process was that it didn't make as much of a difference whether a belt (for example) cost $20 or $100. You just needed a really nice staple to anchor the wardrobe. So I went with a similar model as I put together my perfect case. The $6.49 Borsao Red will drink as good as the $12.99 wines. And by buying more wines that cost $8 or less I can free up room for a splurge wine. Alto Moncayo of course! Even if the splurge wine isn't included I hope this makes for a helpful shopping list if you happen to find yourself at Total Wine. Question of the Day: What do you think? What are some of the better values at Total Wine right now? Once revealed, each wine will be available at case discount pricing until it's gone or Sunday, December 15th 2013 - which ever comes first. The last four wines will be revealed each day this week. As you may be able to tell from their pricing model, single bottles are offered at deep discounts so it's rare to see them offer case pricing on anything. Deals are good in-store only at their locations in Stoneham, Danvers, and Berlin, MA. If you're local and can't make it over there tweet them or give them a call and I bet they can help you out. Boston-based Drync started as a CellarTracker-like service in 2008. It offered a way to keep track of the wines you consumed and what you thought of them so you buy them again. In 2013 they expanded their service to include actual fulfillment of wine orders. They're not a retailer - they're a marketing agent. The primary use model they're after is to make it as easy as possible for a regular person to immediately buy a wine they've enjoyed. For example, you're at a restaurant or a friends house. You try a wine you love. With the Drync app you take a picture of the label or use their predictive typing to find the wine. 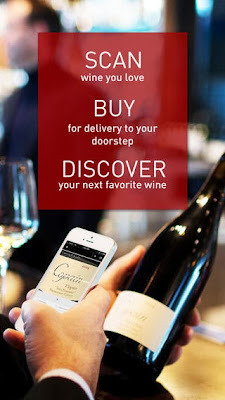 If one of their retail partners carries the wine you can order it right there within the app. The app offers a way to scan your credit card. You enter your address and within a 2-14 days your order is fulfilled by one of their retail partners and shipped to your home or office. They are currently able to ship to 42 states including Massachusetts. They offer free shipping on 12 or more mixed bottles and shipping ranges from $9.99 for 2 bottles to $18.99 for 6-10 bottles. They require that you order at least 2 of each unique wine you order. It really couldn't be easier. They are focused on the casual wine enthusiast who just wants to buy specific wines they've enjoyed without a lot of effort. But in my testing of the app I found that if you have an eye for value you can find some terrific deals. Especially when they're running a 20% off 12 bottle offer like they are right now. Next, add your shipping address and payment info. I don't remember if this is required to get going - it's probably not - but what you want to get after is trying to find some wines, right? So do that. The label image recognition is a touted feature of the Drync app and in my tests it worked well. This feature is targeted directly at their intended use model where you're tasting a wine, you like it, and you want to remember it for later purchase. Snap a picture of the label and buy it right there -or- move on with your evening and buy it later. That's the Drync experience in a nutshell. The way I found the app most useful was in searching for wines I know I like and want to purchase again - if Drync has them for a really compelling price. In this use model, the predictive text input is nice. If I type "beauc" it auto completes with wines like Beaucastel so I don't have to remember how to type out the complete wine name and spell it correctly. Say I want to look for a widely available wine like Belle Glos Meiomi Pinot Noir. This wine carries a release price of $22 according to Wine Spectator. The first thing I notice is two listings for the same wine. Multiple listings are the bane of existence for wine apps. No biggie though. The key thing to look for is the dollar sign on the right hand side of the listing. This means you can buy the wine through Drync. If we tap on one of the entries it takes us to listing of vintages available. We can select "Current Vintage" or in this case 2012. If we select 2012 it takes us to the landing page for the wine that includes community ratings, a label image, an ability to enter my own rating on a scale of 1 to 5 (no 100 point scale here), and most importantly the price they're asking: $29.60 a bottle. The best price I can find this wine for in Massachusetts is around $16.99 so this is a little high. Even with 20% off that's $23.68/btl. It's nice that shipping is free if I buy enough bottles, but the pricing isn't the greatest. That said - if you don't buy wine frequently the convenience factor could be worth it. Another example scenario I tested was with the recently anointed 100-point 2009 Alto Moncayo. Drync lists it for $49.36. At 20% off with free shipping that's $39.49. That's a pretty nice deal for an 100-point wine! I don't see many listings on Wine-Searcher for 2009 Alto Moncayo south of $40 so I was curious what other gems might be listed as available. I recalled what their Marketing Director Aimee Cronin told me about how they derive their listings from data feeds from their retail partners. Might their retail partners have valid listings that don't show up on Wine-Searcher? Take for example my beloved Cigliuti Serraboella Barbaresco. It was my wine of the year in 2010 (for their 2005 vintage bottling) and I've had a famously hard time finding it for less than $50. The best listing on Wine-Searcher right now for any bottle of Cigliuti Serraboella Barbaresco is $59.99 (link). But it's listed on Drync for $49.36 - so after 20% off (with free shipping and no tax in MA) that's $39.44! By far the best price in the country on a wine that's precious to me. After I found the Cigliuti I went through most of the wines I've ever rated 90 points or better on CellarTracker. I found some great listings on somewhat obscure wines that are indeed distributed in Massachusetts. You can't expect to find Scarecrow or Schrader. Or even Dehlinger or Zepaltas. Their retail availability is scarce nationwide and I don't think they're even distributed to MA. But you can find wines like the 2005 Castano Casa Cisca. I tasted the 2011 at the winery and it was amazing. But very expensive. They said it would retail for north of $100 in the US if you can find it. But I can't. No recent listings turn up on Wine-Searcher. However, Drync lists the 2005 for just $19.75. I'd be concerned the 2005 was shot - or worse yet - not the same wine I tasted in Spain. But thankfully Cliff Brown tasted the 2004 recently and said it was solid. He was able to catch it on a closeout for a similar price so maybe it's not too far fetched to believe this $100 wine could actually sell for ~$16 fully loaded through Drync? I found some other nice listings like the 2010 Gary Farrell Hallberg Pinot Noir for $51.32 (before 20% off, compare at $49+ and not eligible for discounts plus shipping on Wine-Searcher). And the 2009 Merry Edwards Meredith Pinot Noir for $52.32 (before 20% off, compare at $65.99+ on Wine-Searcher). These are some amazing deals on wines I've had a very hard time finding at a discount. I placed the order last Wednesday (December 4th). I received email confirmation that my order was being processed Friday (December 6th). They say orders are should be delivered within 2-14 days. I ordered four relatively obscure low production wines that I'm sure no single retailer carries. So I'm very interesting to see how this order is processed and of course whether it is fulfilled (completely or at all). I'm optimistic but skeptical. I really don't know how their system works, but if their availability and pricing is accurately reported by their retail partners, worst case I'll receive multiple shipments from each retailer who carries the wines that make up my order. But if the listings were came virtual inventory that the retailers don't actually have, the retailers will find that the wholesaler either no longer has the wines, or no longer has them at the price they listed them at. If the wholesaler has the wines it would create an awkward fulfillment situation between Drync and their retailer partners. And I'm sure a costly order to cobbler together. Worst case, some of the wines won't be fulfilled and I'll be annoyed as a consumer that I spent time sleuthing around in their app purchasing wines that aren't actually for sale. We shall see! I'll update my post with my findings but I wanted to get this out before their 20% off a mixed case with code "stockup" offer expires. I think Drync is an intriguing service and it shows an impressive amount of polish and potential. For it's intended use model - making it easy for "regular" people to buy wines they love - I think it's terrific. For wine enthusiast deal hound types like myself I think it offers some intrigue. I'm bought into CellarTracker for keeping track of my collection and recording/comparing tasting notes. If I kept track of my cellar in Drync it would be very easy to re-purchase wines I've enjoyed. How cool would it be if Drync alerted me that they've got a great deal on a wine I rated 93 points right now? But as it stands right now I think it's worth downloading for casual wine drinkers. Then, next time you try a bottle you love snap a picture and see how much they're offering it for. For the deal hounds among us I think it's definitely worth exploring for great prices on some of your favorites - especially with their 20% offer going on. Poke around and see if they have any of the wines you've been looking for. Give the label image recognition feature a try. Through December 9th, 2013 they're offering free shipping and 20% off 12 mixed bottles with code "stockup". For smaller orders Wellesley Wine Press readers can get free shipping on any sized order through the end of January 31st 2014 with "WWPFree". My order was partially fulfilled. Although I'm disappointed that some of the wines they listed for sale ended up not being available I'm happy I got some of them. Drync was able to successfully locate a couple of wines that Wine-Searcher was unable to find in my state - and Drync had them at great prices (thanks in part to 20% off). I'm really pleased with the "human" way they presented the substitution options and will still honor the free shipping and 20% off even though I'll only be getting 6 bottles. Another thing I forgot to mention earlier. Since we don't have insight into the retailers fulfilling these orders there is a provenance concern. This is the case with any wine buying situation where you're dealing with a marketing agent but it's worth mentioning. Thank you for your Drync order! I am writing to confirm that we have procured the Cigliuti Barbaresco Serraboella 2007. We have also sourced the Merry Edwards Pinot Noir "Meredith Estate," but the available vintage has changed. The current vintage is 2010. It is a weighty pinot with ultra-ripe dark cherry, raspberry, plum and loganberry with floral undertones, comparitive in style to the 2009. The Gary Farrell "Hallberg Vineyard" Pinot Noir 2011 is not currently available in the Massachusetts market. However, we are able to obtain the Gary Farrell Russian River Valley Pinot Noir 2010. The cost for this wine is $44.80 per bottle and we will adjust your accordingly if you choose to purchase it. 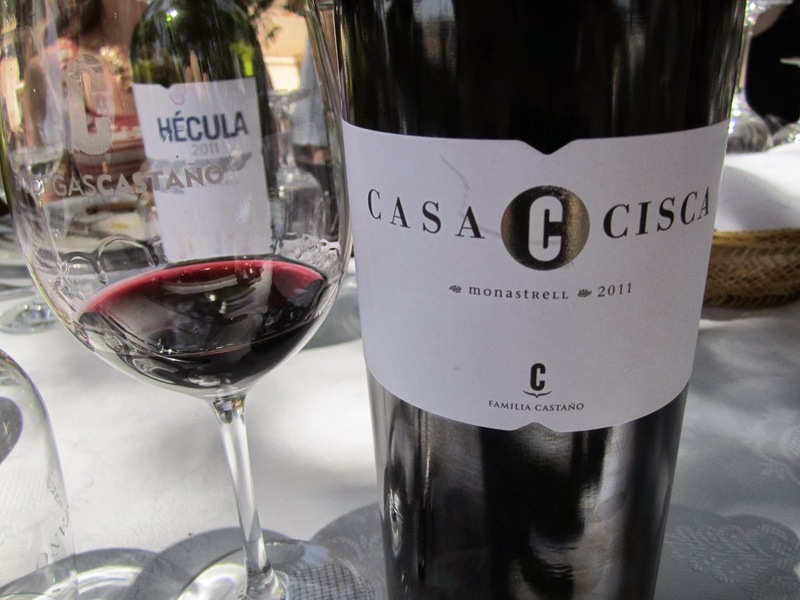 Unfortunately, the 2005 Castano Yecla Casa Cisca is a discontinued item in this market and no longer available. We really hunted for this one, but it is simply no longer available and we have updated our record accordingly. We would be happy to offer you a recommendation of a wine similar in style and price, if you are interested. Please let us know how you would like to proceed. Be assured that if you would like to remove any of these wine from your order, we will honor your free shipping and 20% off of all the other wines in your order. Thank you for using Drync! Please contact us if you have any questions. Question of the Day: What do you think of the Drync app? One of the most fascinating things about wine is the connections you make as you explore. You taste something you like, then you look for something similar. Same region, same grape, same winery, or same winemaker... Always looking to take what you liked about one wine and raise it up to the next level with another experience. This past year, I've been fascinated with the value proposition wines from Spain present to someone like me who loves juicy high-quality California wines but is looking to keep costs down while still enjoying a tremendous bottle of wine. When you try that move in some regions - it just doesn't work out so well. But with Spain I've been blown away by what I've found. However, you can't just throw darts. You've got to follow a path. See also: Is this the next Clio/Alto Moncayo? Earlier in the year I was introduced to a tremendous wine at The Capital Grille that sells for as little as $12 retail: Juan Gil Monastrell. When I was invited to Spain this past summer I was thrilled to learn I'd be visiting the region where Juan Gil comes from: The D.O. of Jumilla. I was looking forward to experiencing what happens when you take that same style of wine and spend $30 or $40. Would the value equation still hold? Our first day tasting in Spain was the longest with four winery visits scheduled. My luggage didn't make the connection so in addition to being in a new time zone I'm tromping around in the heat with the same jeans I'd worn on the plane overnight. Although spirits started off high, after lunch at the third winery I was ready to head back to the hotel to sleep. But we had one more winery to visit! I'm glad we continued on though because the wines we'd taste at the last winery were the best wines we'd taste the entire trip. 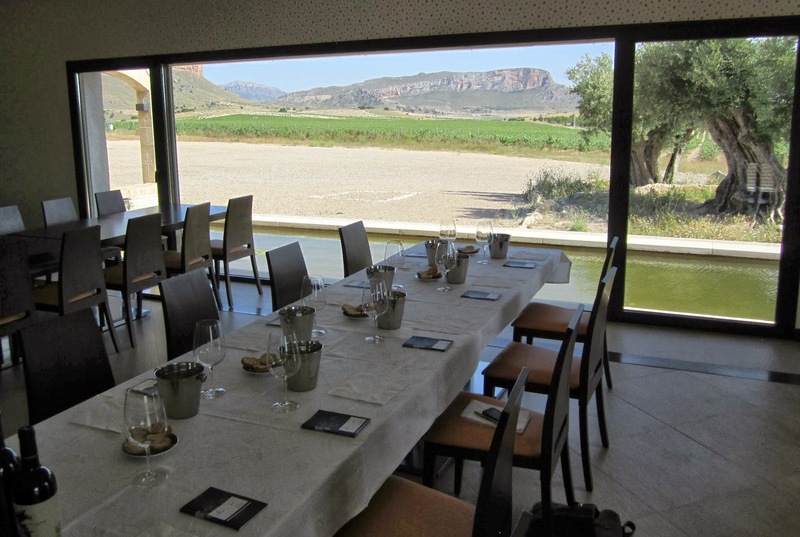 The itinerary said the fourth winery visit was "Hijos de Juan Gil (Jumilla)". I didn't know at the time that Juan Gil is produced by Gil Family Estates which is also behind Bodegas El Nido - the winery that makes Clio. The El Nido winery is just a short walk up the hill from the Juan Gil winery in a separate facility. Like I said - I wasn't familiar with the back story of El Nido and I'd never tasted it before. I'd walked right past it being poured at past Wine Spectator Grand Tour events. What a mistake. When I found out we were going to, essentially, a fifth winery I was like "Seriously? What is this - a death march?" 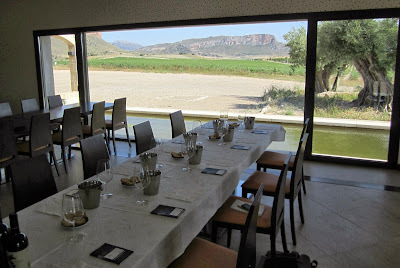 But I'm so glad we visited because the wines of Bodegas El Nido set the standard for the region. They're priced at $45 to $140 which makes them by far the most expensive in the region - and you know what? They're worth it. Clio (the $45 option) tastes like Caymus Special Selection at a fraction of the cost. Bodegas El Nido was formed in 2002 through a unique collaboration between Gil Family Estates, Jorge Ordonez, and Australian winemaker Chris Ringland. The idea (summarizing, and with a bit of my own perception mixed in here) was to take outstanding fruit, produce it at the highest levels possible, craft it in a rich modern style, and tailor it for the American market. 90% of the El Nido wines are exported. We tasted all three of these from the 2010 vintage, after tasting a half dozen other wines from Gil Family Estates, and I wish I could turn back time and pay closer attention to the El Nido wines. I remember tasting them after being impressed with the Juan Gil and other wines and thinking: Wow - I could sit here and drink this all day. This takes it to a whole new level. Clio is produced from these old vine Monastrell grapes at very low yields. Amazingly given the blistering summer temperatures no irrigation is needed. The roots go deep and the vines are stressed to produce wines of intense concentration. The grapes are hand harvested in small baskets to prevent bruising then hand sorted on triage tables where the best grapes are selected. The El Nido winemaking facility looks like a typical winery - nothing particularly fancy. The money is spent on the highest quality equipment with a focus on the end product rather than glamour. El Nido and Clio are aged for 24 months in a combination of mostly French and some American oak barrels. The results are spectacular. Since returning from Spain I've tracked down wines from many of the producers we visited. When visiting a wine producing region it's easy to "fall under the ether" and think everything is amazing. I think there's some of that going on but you're also tasting wines with impeccable provenance served (hopefully) in ideal conditions. I've tasted the 2010 Clio a half dozen times now and every time, every sip has been spectacular. The wine is just insanely good. Is the $45 Clio as good as the $140 El Nido? Like I said I wish I could go back and retaste them. They're both tremendous. But I think it's one of those things were you get 90% of the quality of El Nido for a third of the cost with Clio. I'd love to try El Nido again on a splurge but Clio is where the action is. But is the 2011 as good as the 2010? Absolutely. I can't recommend a wine more enthusiastically than this. This is is truly special. I was anxious to try this after adoring the 2010 across a bunch of bottles, but the 2011 comes through in a big way. The 2011 is perhaps a bit smoother and softer around the edges than the 2010, which can get a little rough at times. The alcohol (15.5%) is incredibly well concealed. The wine is just so utterly enjoyable to consume. Huge, gorgeous aromatics of rich fruit, vanilla, and a supporting touch of herbs. Coats the glass but amazingly doesn't feel heavy. A remarkable achievement. I can't think of a better wine in the $35-$40 price range. A great alternative to overpriced Napa Cabs. I'd love it if you subscribed to the Wellesley Wine Press for future updates. I've got a bunch of great deals - like this - I'm looking forward to writing about. Alright deal hounds - we've got quite a bonanza on our hands with this one. AmEx is offering $25 off $75 at Amazon and if you maximize it you can get this benefit for each AmEx card you have - even ones where the card is for an authorized user. And you don't need to buy items that are $75+ -or- even right now. Here's how, and here are some wine gifts I like on Amazon. For a guy like me who's got a bunch of AmEx credit cards this is a particularly great deal. The first part of this deal is something you should get on right away if you have AmEx cards. I say right away because AmEx caps the number of people that can take advantage of deals and this one is sure to go quickly because it's such a good deal (effectively 33% off) and everyone can find good deals on useful things on Amazon. Update (12/3/2013): Registration via this link is now closed. Follow the instructions here to register via Twitter. Once you receive the gift card via email (it should take just a few minutes) click "Redeem Now" and apply the gift card to your Amazon account. The great thing about Amazon gift cards is that they never expire and your purchases over time gradually drawn down the gift card balance. It couldn't be easier. I think there's a small risk that AmEx won't credit your account for gift card purchases but we should know about that within a few days (which is how long AmEx statement credits for these things tend to take). If this happens, worst case, you'd be "stuck" with $75 of Amazon credit per AmEx card you have. If you still wanted to take advantage of the deal for a non-gift card purchase you could buy something for $75+ that's not a gift card. I doubt this will happen though. Shout out to Milesabound.com for the tips on this. I wrote about why these are the glasses are the ones to get in this post. You can't beat a basic waiter's corkscrew. When buying one, make sure it's double-hinged and that it's a Pulltap brand. If Amazon doesn't ship you one that says Pulltap on it, return it immediately. There are a surprising number of counterfeits in this space. The Soiree came out on top of 2 separate head to head blind tastings I've done of popular wine aerators. They're simple to use and they work really well. I did a comparison test of a bunch of popular wine glass towels a while back. Ones from Wubeez and Riedel fared well in that test but I've also had great success with flour sack towels. We were on a cruise a couple years ago and I saw they were using flour sack towels to dry/polish their stemware. Around that same time a scientific lab supply company sent me a sample of flour sack towels. They work really well, they're durable, and they're very inexpensive. The Riedel towel is very elegant though and works well so I'll include a link to that as well. And I still like the Wubeez - lots of good picks here. 7. Go Vino Shatterproof Stemless "Glasses"
This is a clever little product I've found useful over the years. It's these sleeves filled with highly absorbent little "stones". You dangle the sleeves down into a decanter after you've done the best job you can getting the moisture out. I prefer this to a drying rack because it takes up less space and does a better job removing water spots. This is a nifty little product. It's simple to use, durable, and multi-purposed. You insert this into a wine bottle and it serves as a pourer (it tends not to drip the way wine poured directly from a bottle does). It also "decants" wine by passing it through small filters thus removing chunkier particles that might be in wine. It provides some degree of aeration, and if you don't finish the bottle you can put a cap on the device which seals the bottle for the next day. The aerating and preservation capabilities aren't its strong suit, but at minimum it's a handy pourer and does provide some degree of filtration of unwanted particles. I like it. Wine pours quickly through it. If you found this information useful I hope you'll subscribe to The Wellesley Wine Press to stay informed of future updates. I'm planning to announce a Top 25 wines of 2013 soon and I'm hoping to run some valuable giveaways as well.